THE Smearsett flock from W.A. and A. Booth, Feizor dominated the sale of Bluefaced Leicester females at Hawes topping the ewe, shearling and hogg sections. Leading the trade at £7,000 was the third prize winning gimmer shearling by G011 Smearsett and scanned with twins to H014 Highberries which was knocked down to A.C. and K. Pye, Abbeystead. The Booths claimed the pre-sale show championship with a gimmer hogg by E003 Hundith which went on to sell for £5,000 to E. Harkin and J. McGrenaghan, Co Tyrone. They also took the reserve championship with the winning gimmer shearling, scanned with triplets to H003 Riddings. It made £3,000 to G.I. Richmond, Preston. Ewes sold to £2,500 for a D017 Smearsett daughter, again from the Booths, carrying twins which went to T.J. Hall and Son, Hawick. Swaledale ewes sold to £4,800 twice. Firstly, for the third prize winner from W. Richardson and Son, Dufton which sold to J. Nattrass, and then for a lot from P. Hallam, Hyde, which went to C.R. Raine, Middleton in Teesdale. 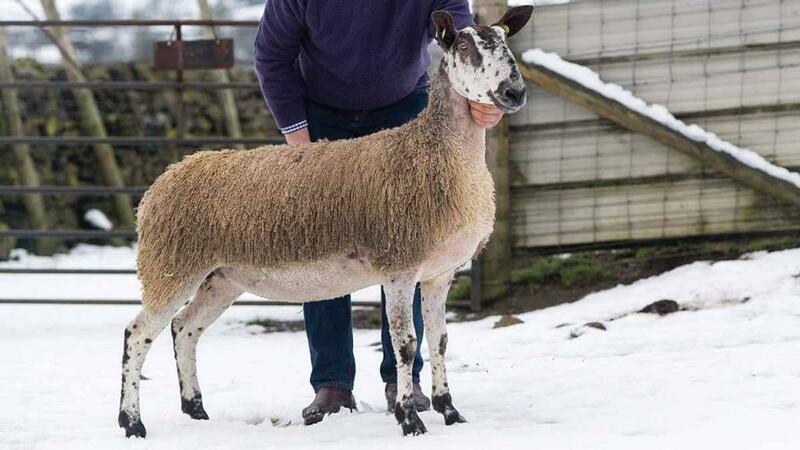 Bluefaced Leicesters females – ewes, £893; shearlings, £1,630 (£297); hoggs, £1,188 (-£8); Swaledale females – ewes, £1,284 (+171); shearlings, £958 (+£201); hoggs, £583 (+£320). Auctioneers: Hawes Farmers Auction Mart.